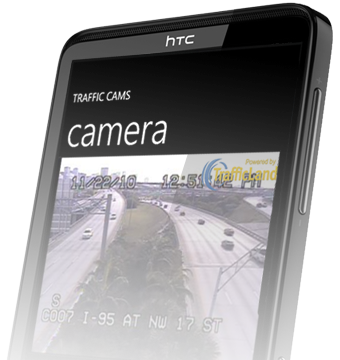 Power your web, mobile or PC apps with live video from the world's largest traffic camera network. Enhance your traffic and news reports with our live streaming video. Set up multi-camera on-air queues in seconds. Turn your PC into a traffic video command center using easy drag-and-drop customization. 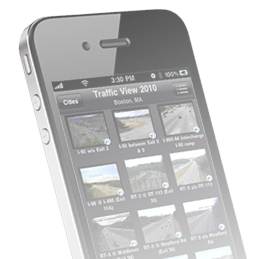 TrafficLand protects and delivers imagery from your DOT traffic cameras to consumers, media and first responders. 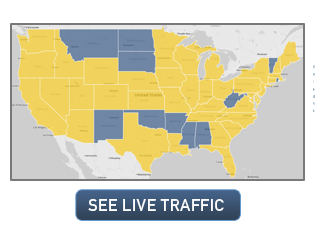 TrafficLand provides live traffic video from over 18,000 traffic cameras spanning 200+ cities.  Contractual redistribution agreements with over 50 Departments of Transportation make TrafficLand the largest authorized aggregator and distributor of live traffic video in the U.S. We seamlessly support mobile, web, navigation, broadcast, traffic, and emergency response applications.